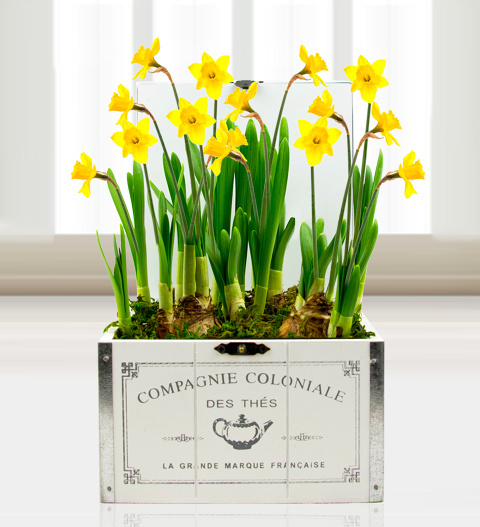 Spoil a friend or loved one for any occasion with these gorgeous potted miniature daffodils. Their bright shade is superb for all occasions and any recipient. Pamper mum for Mother's Day, somebody for their birthday, or even your spouse for your anniversary. This is a gift that will keep on giving. Chocolates may contain nuts.